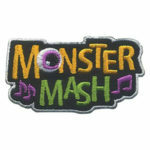 The Monster Mash patch from MakingFriends®.com is sure to be a hit after your troop or service unit Halloween dance or celebration! 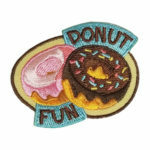 Brighten up your troop’s holiday with a fun craft project and this great patch from MakingFriends®.com. 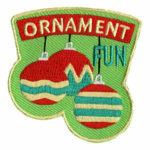 Your scouts can create hand made ornaments for their families and for service! Host an ornament making event with your local seniors, veterans, hospital or other charity or make them ahead of time and bring along when they go visit. 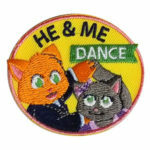 Of course this also just makes for a fun activity during your troop or service unit holiday celebration. Hand made ornaments also make a great fundraiser. 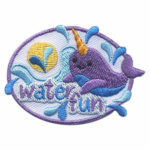 How many ways can your girls come up with to earn the Water patch from MakingFriends®.com? There are so many ways to have a water relay. 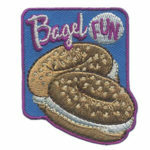 They can use sponges, cups or spoons to transfer water to and from buckets or cups. Great fun for a hot day is playing duck, duck, goose with a cups of water. Of course the classic water balloon toss will be a big hit. You’ll want to remind your girls to leave no trace and pick up the balloon pieces. For a real challenge, try water bottle rockets. Learn how in the blog GS JOURNEYS* with Water Rockets. 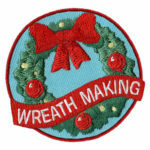 A fun way for your troop to celebrate the season is making wreaths. 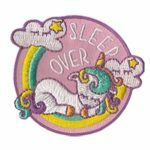 It’s a great craft project to make as gifts for their family, for community service or as a fund raiser. 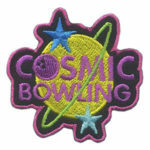 Of course they will want a patch to remember their creations during the holiday season.